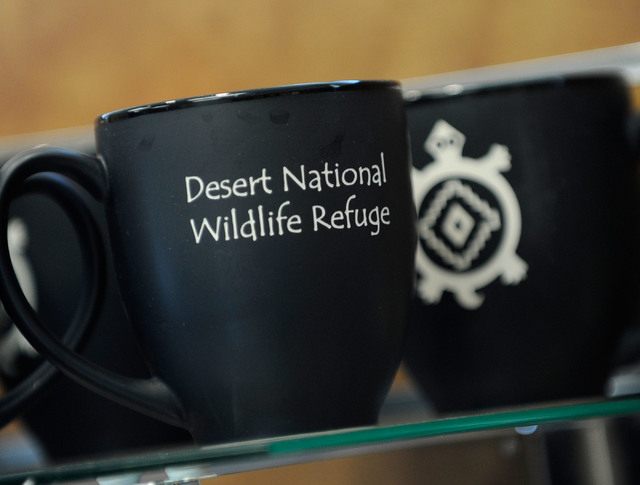 Years of planning and work paid off Friday with the celebration of a the new Corn Creek visitor center at the Desert National Wildlife Refuge. Years of planning and work paid off Friday with the celebration of the new Corn Creek visitor center at the Desert National Wildlife Refuge. 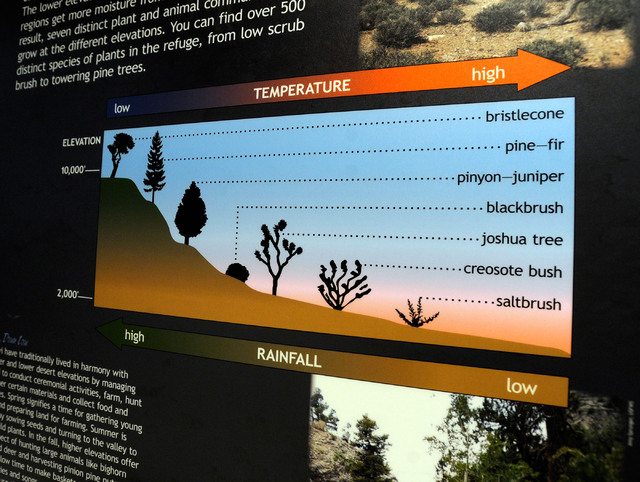 The 1.6 million-acre refuge, about 25 miles northwest of Las Vegas, is the largest wildlife refuge in the continental United States. Its visitor center was previously in a trailer, and U.S. 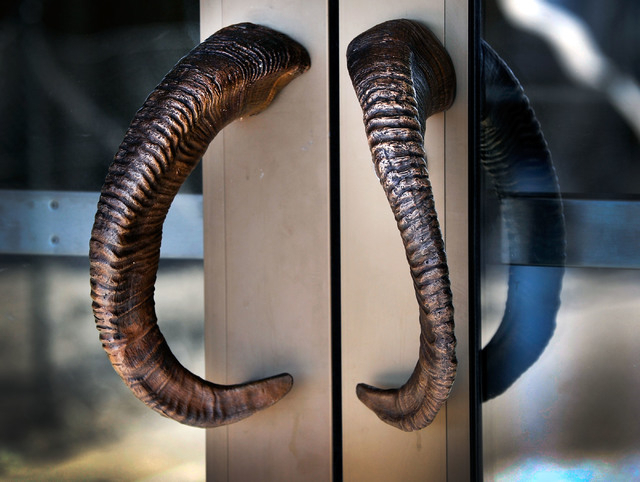 Fish &Wildlife Service employees are excited for a more enticing environment. Refuge manager Amy Sprunger, who has been on the project from the beginning, led the ceremony with an emotional opening speech. “This is really one of the best days of my life,” she said. The project was fraught with obstacles involving site selection, design and budget. The atmosphere at the opening ceremony conveyed the former. Fish &Wildlife Service employees and guests gathered around displays that included water features, fossils and bighorn sheep, all displayed on realistic rock formations throughout the main room with informational plaques. A film created about the refuge premiered as well. The ceremony included a Nuwuvi, or Southern Paiute, blessing over the facility. Pahrump Paiute tribe member Richard Arnold spoke of the culture of the land, which Paiutes have inhabited for thousands of years. “It’s a gem in the desert,” he said of the range for bighorn sheep, Nevada’s state animal, along with hundreds of other animal and plant species. Dan Ashe, the director of U.S. Fish &Wildlife Service, was excited for the education about wildlife conservation the new visitor center will bring. 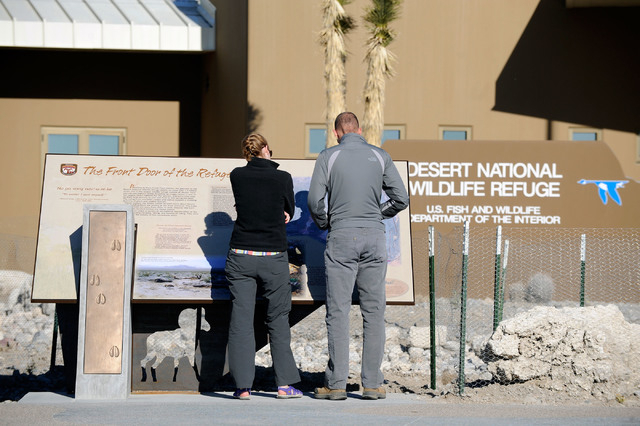 Since the soft opening in December, there has already been a spike in people visiting the refuge. Nevada Sen. Harry Reid attended the grand opening, and spoke briefly about funding for the center before switching topics to politics. 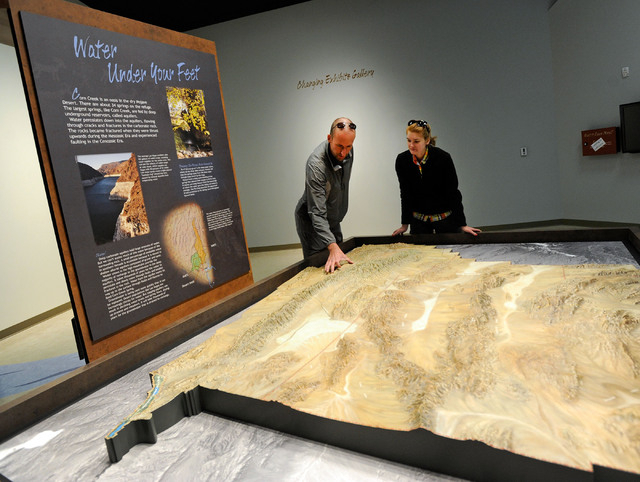 The $12 million visitor center was funded through the Southern Nevada Public Land Management Act. The public grand opening is today from 10 a.m. to 2 p.m. and will include archery and wildlife spotting activities, along with film viewings and an upclose look at some of the refuge’s native reptiles. Corn Creek Road is located off of U.S. Highway 95 between the exits for Kyle Canyon Road and Lee Canyon Road.